There's an interesting link party at Get Your Crap Together titled Why I Sew. It seems to be filled with stories of inspiration! Hmm... Why do I sew? I certainly love the creativity, but there's a practicality as well. Connecting with readers and other bloggers is fun, too! If you've read my T-Shirt Makeover Tutorials you already know that I struggle finding things that fit and don't have a huge budget. 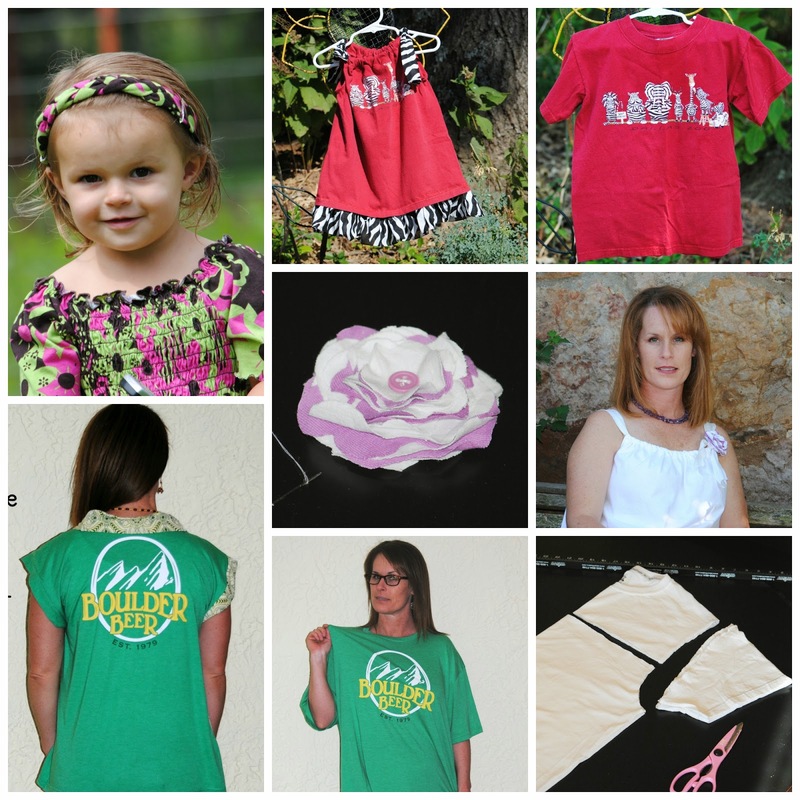 T-Shirts are a wonderfully affordable supply of knit fabric to create all kinds of things! Whether it's headbands and flowers for a cutie pie in my life or wearables for me that actually fit, T-Shirt Makeovers and Upcycles are some of my favorite things to sew! Then there's all the stuff my family needs and wants around our home. We live in an old rock farmhouse built in the 1930s. Handmade items add so much charm! Is everything I sew perfect? Of course not! With each project and every single mistake, I learn. Will I ever know it all? Probably not. I'm OK with that. Something else I love is connecting with others throughout blog land! There are so many inspiring sewists. Some are highly skilled. Some are like me, still growing. It is such a joy to share my creations with you, Sweet Reader! I certainly appreciate each and every encouraging comment! So, that's why I sew. I love your creations!! You're sooooo talented. I really really do need a weekend with you. I sew for all the same reasons... I never thought about it before; but I love being creative. Practical is my middle name. And of course if it weren't for sewing... I don't know that I'd have ever Connected with you. I feel like I'm just starting out in the sewing department...but I enjoy it when time allows. I Love my recreated T's from the thrift store-- and I wouldn't have made them had it not been for your tutorials! Upcycle with style Marci :) I love reading your posts and getting inspired to try it myself, so I appreciate you! Love the t-shirt upcycling ideas! It is very inspiring to read about others sewing projects. Great ideas and ways to bless your family. :) Thank you for sharing this. My mother loved to sew. As a I child I grew up watching her sew. And even though I do not have a sewing/knitting bone in my body I always say I get my motherhood need for a creative outlet through my mother. I saw her do something for herself , and I actually made my way back to writing because I had to find a creative outlet for myself. Your stuff looks great too! Okay the zebra t-shirt dress is ADORABLE. My girls have zebra print shoes, lol. I love to sew, too. It always makes me smile to see things I've made going through as I do the laundry. I love this post! 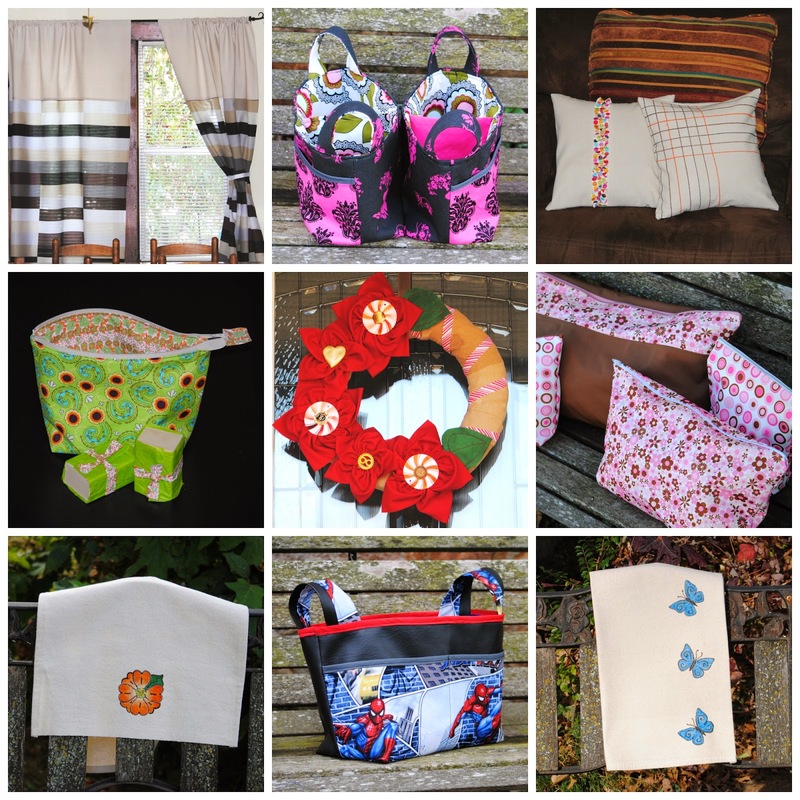 I own a handmade shop with my sewing wares, so I especially appreciate others that share my love of sewing. I'm so glad you have found this way to help save your family money! Thanks for sharing this post on last week's Weekend Wind-Down party. Would you consider adding our link to your link page so I can feature you on next week's party? Thanks!! Thank you! I'm featuring this post on this week's party. You can see it at 6pm Friday night, grab a button, and link up new posts! Thanks for giving us great content to feature! Homemade is so much better! My clothes were always made by my mom when I was growing up and I never had to worry that someone had the same thing as me. Then those clothes scraps went to my grandmother for a quilt for me where I could look at the patches and see my clothes! One of the sweetest gifts I ever gave was the year I had no money and my sister and law and I made cozys, placemats and pot holders for the family. I have not sewn in years, it is something you have to set aside time for and I want to do that again. I agree with what Debbie said, homemade is so much better!! It's awesome to be able to make gifts for others. I love to sew but don't do it nearly as much as I should. I enjoyed reading your post. I will have to go and read some more of your recent posts as well. I don't really enjoy sewing, but even so, it's a skill I'm glad to have.